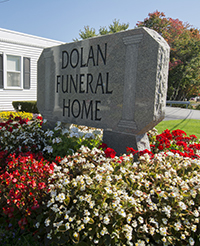 At Dolan Funeral Home, we provide a full suite of services for taking care of, and recognizing, the life of your loved one. Learn more about making funeral arrangements with us. A licensed funeral directorLicensed Funeral Director and embalmerEmbalmer is available 24 hours a day, seven7 days a week, 52 weeks a year, 365 days a year. 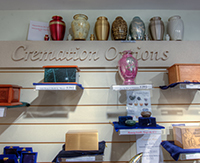 The foundation of all our services starts with our basic service to your family, which includes our staff’s, staff response to your initial request for service, consultation with family or a responsible party, preparation and filing of necessary certificates and permits, placement of obituary notices, planning of funeral arrangements, and coordination of services with the church or clergy, cemetery, crematory, vault companies, and others as needed. 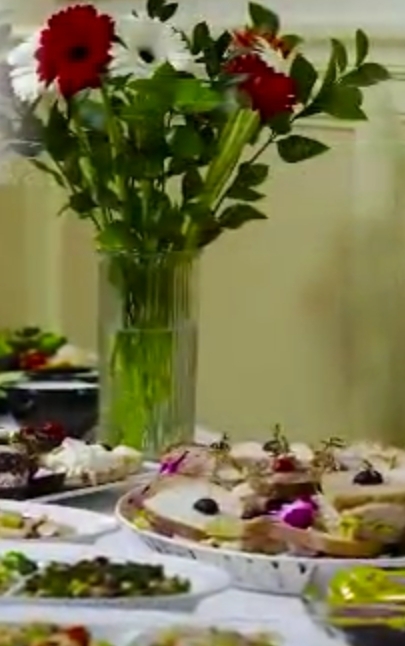 With the help of our preferred caterers, food and beverages can be a part of a loved one’s visitation, funeral service, or a celebration of life ceremony. Why not make a traditional wake or calling hours into a wonderful reception? What other family event do you have without food? We can set up your family room as a traditional parlor or as celebratory reception hall with high and low tables. For more information and menus click here. Cremation has returned as a common form of final disposition, and is not a new concept. It was practiced in ancient times and has been gaining favor in today’s world. Choosing cremation for your loved one or yourself does not limit the funeral services—it actually increases the service options you have. You could have a wake with the urn and/or picture of the deceased displayed, or a traditional funeral with the body present, church service, committal prayers at the graveside/chapel with the casket before the cremation. Keep in mind that everything is a choice, and not a requirement or expectation. It’s what you and your family wants—nothing more, nothing less. The ashes may be kept in a decorative urn, shared with other family members using smaller urns or jewelry, or combined with the ashes of another loved one. Placing the ashes in the casket of a loved one being buried, scattering the ashes, or burying them in a private yard. Please note: you will need to check with the local authorities regarding any local restrictions of scattering or burying on private land. The legal next of kin must grant permission. Forty-eight hours have to pass from the time of death for cremation to take place. The deceased has to be in a cardboard box or casket that is sturdy and combustible. The Medical Examiner must examine the deceased and grant permission. A final disposition permit has to be granted by the local authorities. As always, our staff is here to discuss all of the options with you. Embalming is not required by law, except in certain special cases. Embalming may be necessary if you choose to have a viewing as part of the funeral arrangements, but may not be necessary if you choose to have a direct cremation or an immediate burial as part of the funeral arrangements. A funeral service held at the graveside is coordinated, supervised, and attended by our staff. A funeral service held at the funeral home in memorial of the passing of your loved one with a picture or possibly with the cremains coordinated and supervised by our staff. A visitation service is also known as viewing hours, calling hours, a wake, or a reception, and may be held at our funeral home or at an off-site location. Our staff coordinates and supervises every aspect of preparing for the visitation of family and friends. 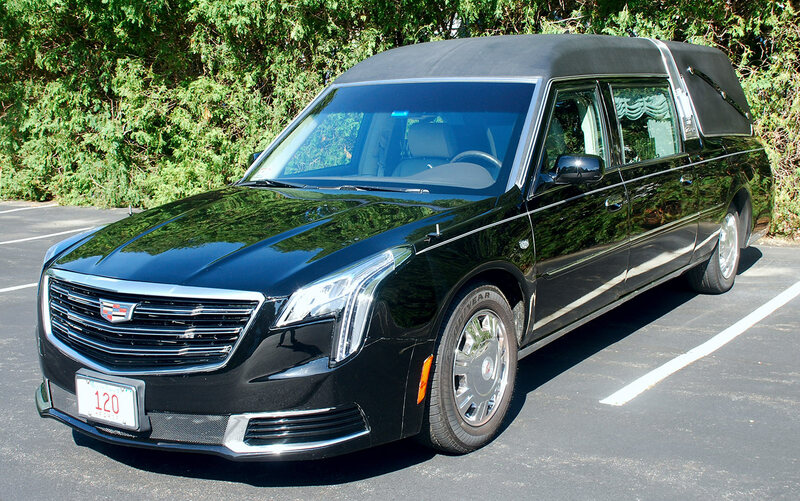 We are required by Massachusetts law to use a vehicle registered as a hearse to carry your loved one from his/her place of passing to our funeral home, and to his/her final resting place. Several other vehicles are used on the day of the funeral, and limousines are available. 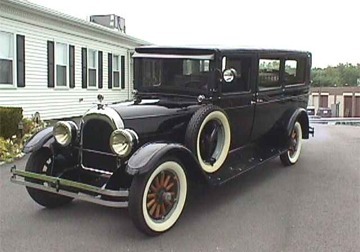 We offer a 1927 Velie Henney hearse as part of our fleet. Our service at Dolan Funeral Home continues well after the funeral. Through our first year of loss program, every family receives the same type of aftercare support regardless of the services that you have selected, because everyone’s loss is personal and unique. Our aftercare program is personalized according to your loss, whether it is a spouse, parent, child, sibling, grandparent, or companion. Whether the loss was expected or not, certain emotions such as anger, denial, hopelessness, and a sense of being overwhelmed are all common. Grief is a life-long journey and everyone’s experiences are different. If we can be of any assistance, please feel free to contact us at 978-251-4041. This charge includes the transfer of the deceased, basic services of staff, embalming, necessary authorization, and local transportation to airport. This charge does not include the shipping container, visitation, rites, or ceremonies prior to forwarding of the deceased. This charge includes temporary shelter of deceased, basic service of staff, and transportation of the deceased to a cemetery or crematory. This charge does not include visitation, rites, or ceremonies. 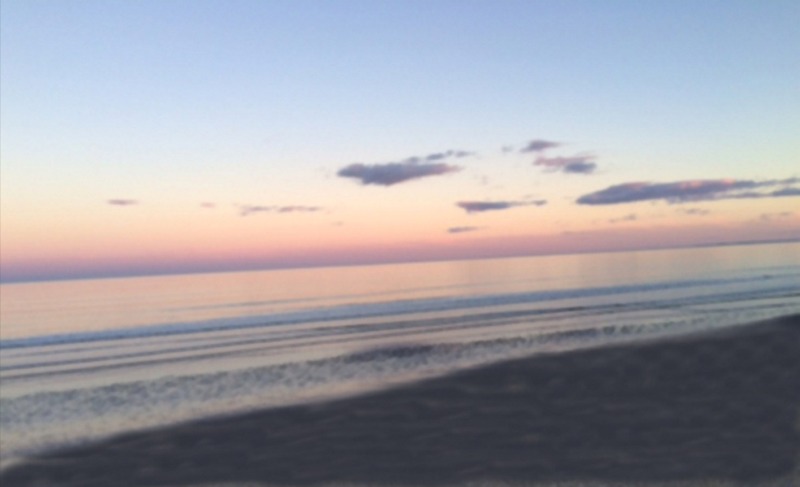 We work in harmony with a number of funeral homes nationwide and worldwide to meet the needs of the family. We meet all of the transportation rules and regulations required by the state or by the country. Families who choose not to have any funeral services choose an immediate burial for their loved one. The burial takes place as soon as the medical and state requirements are met. Your loved one may have made the decision to be donated for training or medical research. You may choose to have a wake or a memorial service, but in most cases, however, your loved will not be present. We will meet the institute’s specifications and will be there to assist you if a final resting place is needed. Some universities and medical schools have established a two-part acceptance policy. The donor must complete the necessary application to be pre-approved. Upon the donor’s passing, the institute will review the pre-approved application to determine if the donor meets their present needs for acceptance. If accepted, the institute may pay a stipend toward the cost of the funeral home services and the final resting place.